Master Lu, Lu family Taichi Master, Handan - The China Taichi Guide is a Directory of Tai Chi Schools & Tai Chi Teachers in China. Master Lu is the current head of the Lu family and lives near to Handan. 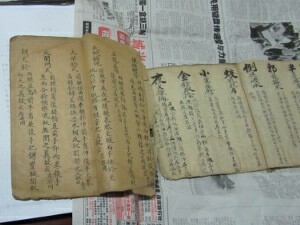 As with the other taichi families, kungfu martial arts featured in his family history for many generations. It seems to be unverified, but my understanding is that a Wudang Taoist travelled through the area at some stage and spent time with Master Lu's great-grandfather influencing him to create a new form of taichi from his family kungfu. So this sounds like a similar story in a way to the Chen family development that happened much earlier, but with a different kungfu foundation. 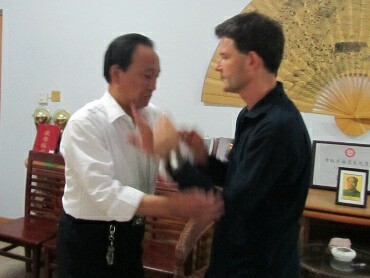 Master Lu appeared very competent in the family style and was happy to demonstrate martial aspects for me. We did pushing hands together and his Qi is very strong. He and his son also demonstrated some of the diverse two person forms that have been preserved within the family and this looked really interesting, especially for a practitioner keen on developing the martial side of taichi. On my visit I was met by the local government head of culture and he was very keen to promote the cultural traditions of his county. 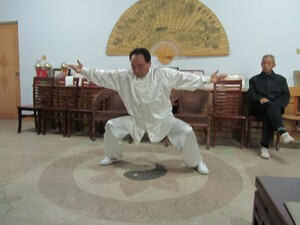 He will act as a contact person for anyone interested in learning more about Lu taichi. Xie Yong Guang is from the same town and practised Lu style as a child so he can also assist in arranging a meeting with Master Lu if required. 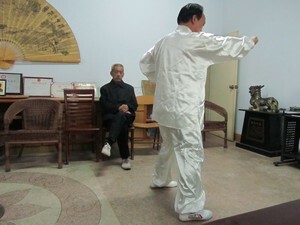 The China Taichi Guide : Master Lu is the head of the Lu family who have their own unique family style of taichi not related to Yang style, but possibly influenced by Wudang Kungfu alongwith their own family tradition of kungfu. The China Tai Chi Guide is a directory of Tai Chi Schools and Teachers in China.